celebrations. Their repertoire includes classic woodwind chamber music, wedding standards, light classical background music, and arrangements of popular and jazz tunes. 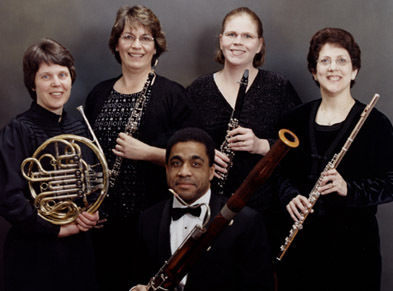 In addition to their private performances for weddings and church events, the Camerata Woodwind Quintet is also often heard in public recital, as soloists with symphony orchestras, and at festivals and museum events throughout Ohio.